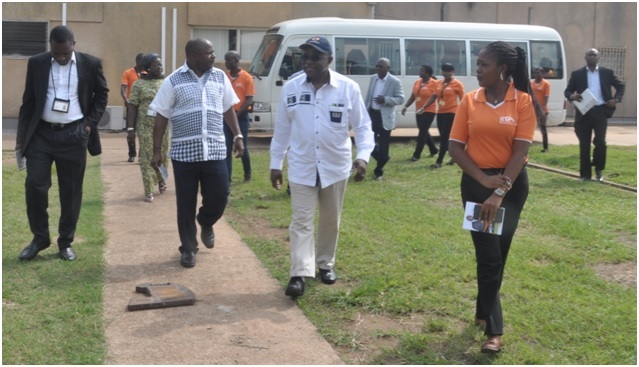 After the first visit of the IFAD president, Dr. Nwanze Kanayo to the International Institute of tropical Agriculture (IITA) to consolidate the partnership of the organization and the Institute on the August, 2012, the president again visited 22 months after. During, his first visit was a significant moment which would ever remain in the history of both IITA and the youth in Agribusiness initiative group, IITA Youth Agripreneurs (IYA); planting of tree to serve as a symbol of initiation of the group and repopulating the Institute. Dr. Kanayo, during his recent visit (16-17 June, 2014) was intimated with the whole “story” of IYA, including the inception, progress and projections of the group by Ohanwusi Evelyn, while Bekee Barituka presented the cost benefit ratios of the crops the group is involved in. During one of the presentations, Dr. Nwanze Kanayo was reminded how he inspired the youth to engage productively in Agriculture, while exploiting the various opportunities that exist in the Agricultural value chains. Dr Nwanze Kanayo while commenting after the presentations said the group is an incubator, which will incubate Nigeria’s future. He however, also emphasized on the need for the group to really become independent of its mother (IITA) as it has described itself of. The group then took the president, Dr. Nwanze Kanayo on tour moving from one of their work stations to another within the campus to showcase their activities for the past 22 months. Their first stop was at the macro-propagation chamber, where they carry out multiplication of plantlets under controlled environment, followed by the visit to the plantain and banana screen house. They later moved to the on-growing ponds and hatcheries unit of the newly exploited value chain of Fisheries. 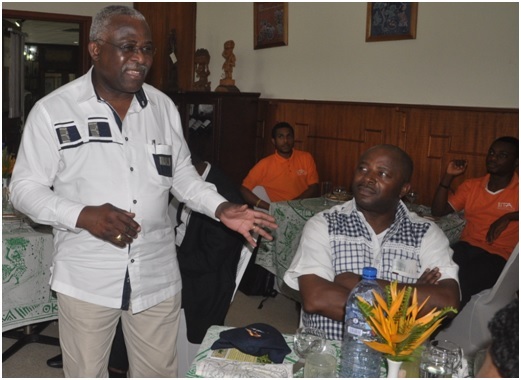 Dr. Nwanze Kanayo finally congratulated the group for their success and achievements while also appreciated the DG of IITA for his strong belief in his idea and for bringing it to LIFE in his closing remarks. In his final words, he made the Youth Agripreneurs to understand that the only elements that will give the greatest support to them while expanding and forging credible independence are PASSION, CONVICTION and THE DRIVE TO MOVE FORWARD. Dr. Nwanze Kanayo believes that if the group sustainably grows out of the walls of IITA, it will make the quick impacts needed to drive out youth unemployment not only from Nigeria or Africa, but across the globe. 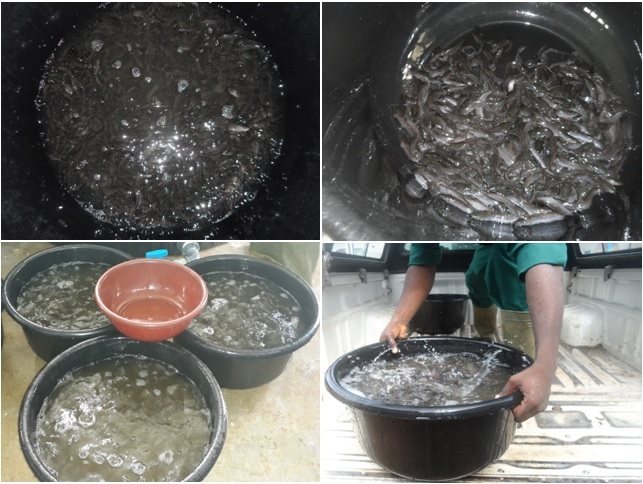 However, the hope of successfully taking advantage of this value chain became realistic as more than 3000 catfish juveniles were transferred from the hatcheries to the on-growing ponds on Monday, June 10, 2014. The group started out with the construction of the fish ponds and hatcheries a few months ago, and has already started transferring the first set of juveniles into the ponds. After grading and sorting i.e. selecting fishes of similar individual sizes into groups, which is needed to optimize production by reducing cannibalism and size variability among harvested fish and improving feed conversion efficiency, the juveniles were then carefully transferred to the on-growing ponds. According to Ibironke Ifedayo, one of the members of the Fisheries unit of the IITA Youth Agripreneurs, cropping will take place in three to four months to this time. 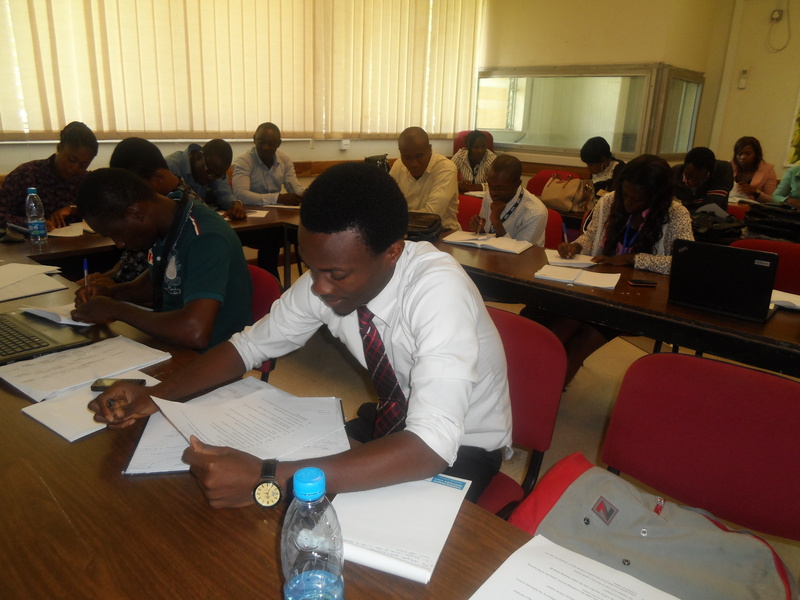 In addition, the group has commenced sales of soy milk within the IITA Campus. 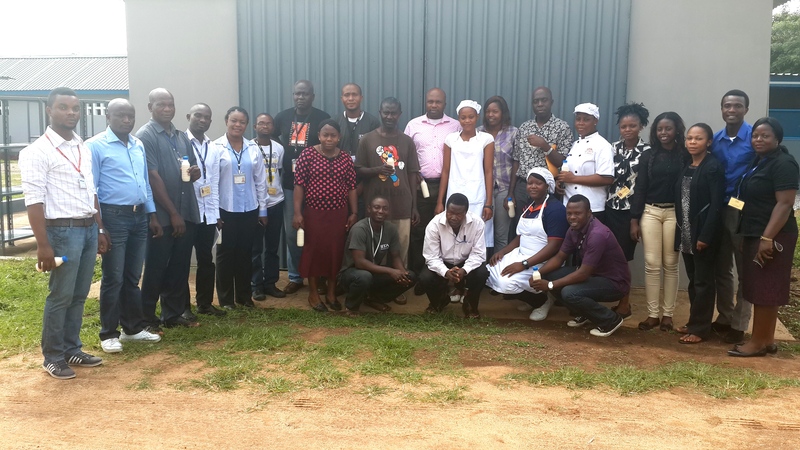 On Wednesday June 11 2014, some of IITA-Ibadan headquarters’ staff visited the IYA soymilk production, amongst whom were Mr. Ohiokhie Albert from the Human Resources Services unit, Mr. Awobajo Kayode, from Project Administration Office, and Mr. Oni Adeleke from Hotel and Catering Services unit and some other IITA staff. This visit was to strategize how effective the distribution channels will be and the methods of sales within the campus. From various perspectives of participants, things went well in almost all respect, participants were extremely enthusiastic throughout, and the enthusiasm grew day by day. Among things that facilitated learning throughout the workshop were group discussions, exercises, brainstorming that kept participants’ interest steady and ensured participation was high. At the final day of the workshop, all the participants were availed the opportunity to clearly demonstrate not only the knowledge of designing, implementing and evaluating quality objectives of training they have acquired, but were able to successfully apply the processes, concepts and ethics of good presentations. Gbadamosi Muritala, an IITA Youth Agripreneur, one of the participants, started the presentation with the topic titled “Ethics, Violence and Civic Education System in Nigeria”. As it’s been learned, he made use of the general format of PowerPoint presentation, i.e. starting from the Title, to the Objectives of learning, to the Outline, to the Introduction, Body and finally the Conclusion. The topic presented by each participant varied from context to context, from the value chains of Agriculture to Communication, Marketing, Monitoring and Evaluation etc., while some of IYA members presented based on their activities within the group. Adewale Toyin presented “Monitoring and Evaluation outcome mapping”, Oyesiji Funmilayo presented “Effective communication in workplace”, Ezemenaka Johnbosco presented “Writing a marketing plan”, bekee Bari Tuka presented “Leadership styles”, while some other members presented “off-key” but highly educative topics. The major errors observed during the presentations were stage fright, inappropriate learning objective statements and improperly managed time. 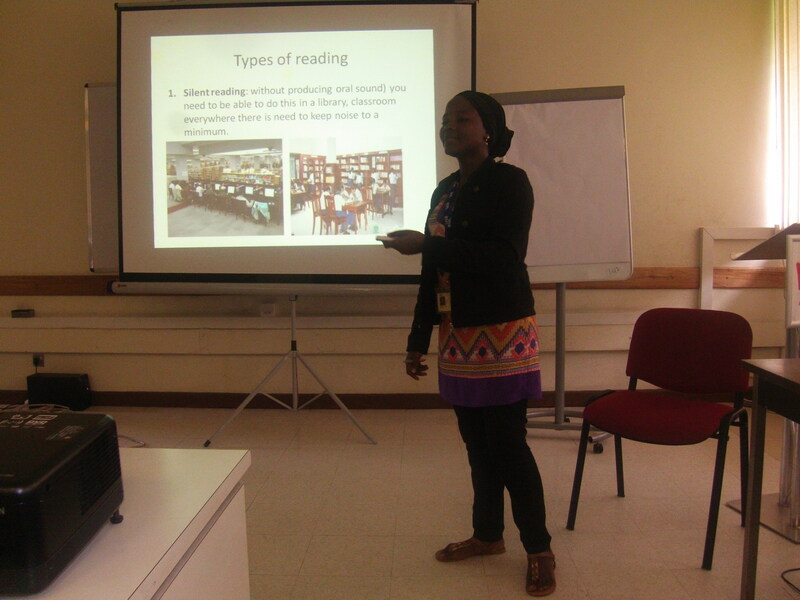 The resource personnel consequently pointed out the faults and gave recommendations at each participant’s presentation. Mr. Zoumana Bamba, head of capacity development, IITA gave the closing remark by emphasizing on three key attributes that would help IITA Youth Agripreneurs’ successful business transactions which include Discipline, Knowledge and Organization/Management. He enjoined all Agripreneurs to be more disciplined in the area of their business transactions and even at other training programs that would subsequently be organized by the training unit of IITA. Mr. Bamba, in his remarks, said the beautiful thing about knowledge is not in its acquisition but the ability to master and transfer it to youth and farmers who are the major targets of the group. However, great competency of a group or organization also relies on how organized such group can be and the professional skills in management. He finished his remarks by appreciating all participants, the team of consultancy services unit, University of Ibadan and training unit staff for their dedication throughout the whole 5 days of intensive learning. Finally, certificates were presented to all participants by Mr Zoumana Bamba and Mrs Lola Idowu. It’s all to do with the training: you can do a lot if you’re properly trained. 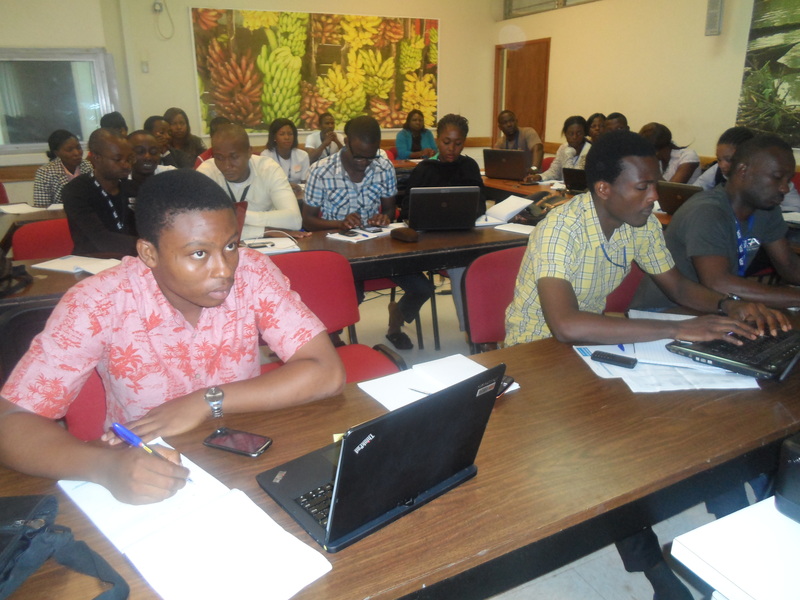 The training unit of International Institute of Tropical Agriculture (IITA) organized yet another knowledge acquisition and skill development workshop tagged TRAINING OF TRAINERS (TOT) for all IITA Youth Agripreneurs as part their capacity development programs. The workshop which commenced on the 2nd of June, 2014 is being handled by a team of 4 led by Mr. Philip Olugbenga, from the Consultancy services unit, University of Ibadan, Nigeria. The overall aim of the TOT workshop is to enable ALL IYA members to completely design, implement and evaluate quality objectives of their training activities. This will invariably enhance the capacity of the members and enable them to work SMARTLY. At the first day of the workshop, IYA members were introduced to the whole program of the workshop which is to take 5 days. Introduction to Training and Development was the first topic to deal with, including the definition of terms such as Training, Facilitating, learning, knowledge, skills, attitude etc. From the introduction, the term “training” is related to Education, Human Resource development and learning, which are also referred to as the concept of training. “Education is the process of the individual mind, getting to its full possible development” – Dr. Zakir Husain. Education provides knowledge which has to do with ideas, facts, reality etc. As for human Resource development, it’s a long term process of growth and development for a worker and manager throughout the career. It includes training, career planning, performance appraisal, coaching, counseling, job rotation and management education. The purpose of this learning workshop is to introduce new behavior or modify existing behavior of all IITA Youth Agripreneurs, which their respective job and responsibilities required. The key attributes of change are knowledge, skill and Attitude and by the end of the workshop, any of the three or all would have been enhanced and or modified. Emphasizing on the training objectives, the introductory speaker, Mr Tony Umoh said the training objectives must be SMART, i.e. Specific, Measurable, Achievable, Realistic and Time-bound. Training brings about dynamism called change and should form part of an individual, organization, community and all nations for effectiveness in economic development and sustainability including Agriculture . 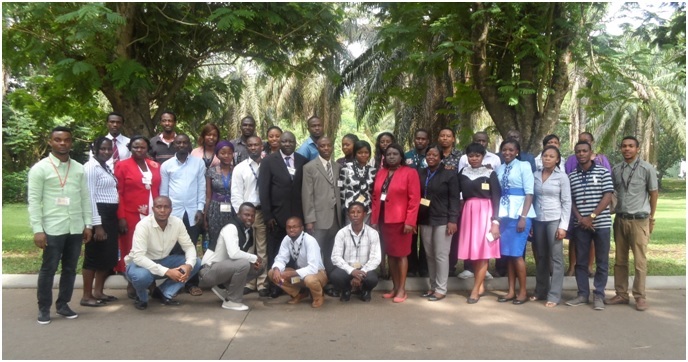 The IITA Youth Agripreneurs are a group of young graduates involved in agribusiness, with the aim of being a unit that would serve as a model to other young people planning to venture into agribusiness and becoming the trainer of trainers.